Embedding video into your website is an effective way of engaging visitors and making your brand stand out in a text-heavy internet world. In fact, the popularity of internet videos is increasing so much that by 2015, it’s estimated that videos will make up 55% of all internet traffic. However, simply including a video in your website and hoping for the best is not enough. You need to test how well your visitors are engaging with your videos and make changes if necessary. There are several online services that offer web performance tracking. Most offer a free trial period, with the option of upgrading at a later date. 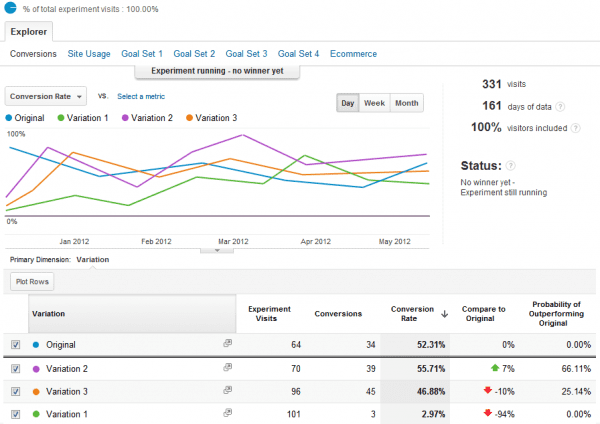 Google Analytics profiles your users’ onsite engagement metrics. These include: average time spent on a page, average visit duration and average pages per visit. Every time a user visits a page, four different types of cookies will record their activity. This information is broken down into measurable terms and fed back to you via a dashboard interface. It’s crucial that your internet cookies are working properly. If you use Google Chrome, you can download the Google Analytics Debugger from the Web Store. This tool checks your cookies, ensuring they record the correct information. 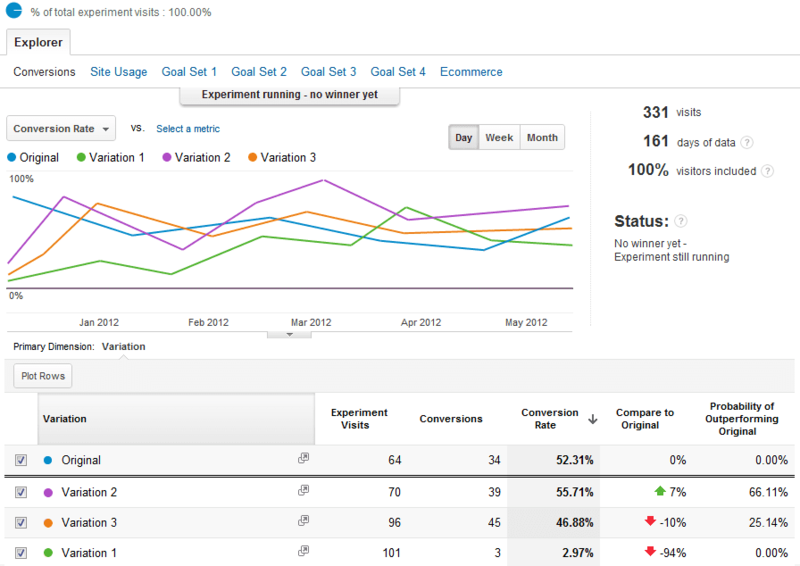 One of the most useful features of Google Analytics is the facility to identify the exit page. This is the last page your customer viewed before exiting your site. If several visitors are choosing to exit on the same page, this could indicate a problem with that specific page. Is it your prices? Is it your refund policy, or blog? In addition to Google Analytics, the Page Analytics Chrome Extension was released in June 2014. It allows you to set date ranges and view which links users click on your pages. However, you can’t see exactly what your users are doing once they reach your page. That’s where Crazy Egg can help. Crazy Egg gives you a visual display of what your visitors are doing once they reach your site. Tracking codes are embedded into pages you have identified for testing. Tests normally run for a week or more, depending on how busy your site is. 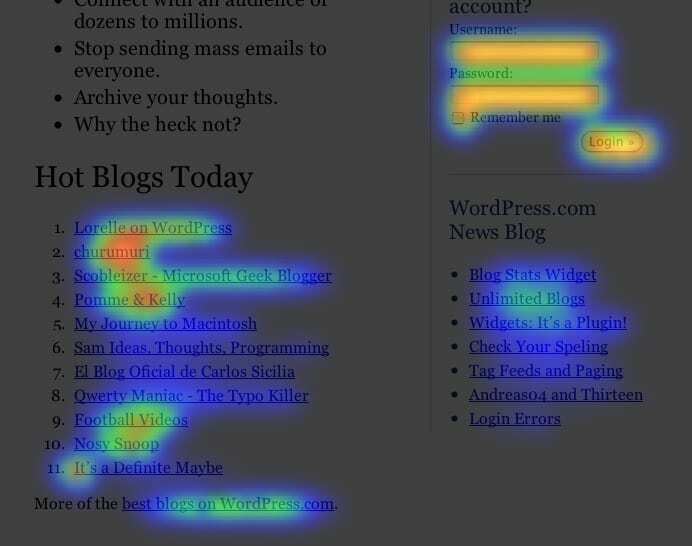 Heatmap – This coloured overlay highlights areas where users have been most active. Darker spots indicate lack of user interaction. Scrollmap – The Scrollmap option identifies the exact point users exit the page when scrolling. Confetti Map – This shows individual clicks, grouped into referral sources (such as Twitter or a Google search). A small dot indicates where each click has taken place. Overlay – Overlay tells you the actual number of clicks each element of your page is receiving. Once you have identified areas of concern, online services such as Usertesting.com can give you further insight into customer experience including the role of video in influencing purchase intent. Services such as Usertesting.com or WhatUsersDo give you access to feedback from real users, from a pre-determined demographic, who can test your website. For example, you could set the parameters around age and income. Feedback is available in an hour. You can find out how user-friendly your site is and get an insight into the typical user experience, using actual feedback. You can also follow up any feedback with further questions. For example, if Google Analytics highlighted that people were leaving your site after they’d viewed your area coverage map, you could set this page to be profiled on Usertesting.com and get valuable customer insight. Feedback might include how difficult it is to zoom on the map, or the fact that there isn’t a postcode search. Results from Usertesting.com and Crazy Egg might reveal that your photo gallery of products is uninspiring and customers are not searching through them. In this case, or situations where pages are text heavy, a video might help. How can video help engagement? Users are much more likely to remember video content than a page of text. If you’re selling a physical product, video gives you the chance to showcase your product and go into more detail, highlighting key selling points. You could demonstrate ‘before and after’ stories more effectively and give your audience the opportunity to hear your product in action, or unpack the product in front of their eyes. Results from online studies have revealed that 73% of consumers are more likely to make a purchase after viewing an online video and 96% of consumers find video useful when buying online. In addition to this, retail site visitors stay for two minutes longer on a page featuring a video and are 64% more likely to buy after watching the video! Why not consider using video testimonials over text? Viewers can experience the emotion and body language in the testimonial, and video testimonials hold more authority over text alternatives, which are easier to fake. Websites that feature narrative from a member of staff will also be more memorable. People like to hear and share stories. Could you feature a video profiling your background story on your ‘About Us’ page? You will need to review the results from UserTesting.com to unpack exactly what is preventing your visitors to converting. Videos can certainly help highlight the benefits of a product, or add personality to testimonials. But sometimes, there may be cases where video is not the answer. Visitors may simply be looking for a better design to navigate themselves around your site, or for the facility to sort products by size, or customer reviews. Once you have identified the problem and made improvements to your site, you will need to test your updates to see how effective they are. One of the best ways to test effectiveness is to use Google Analytics Content Experiments (previously Google Website Optimiser). This technology allows you to carry out split testing on your website. Typically, you’d create two or more versions of a page, for example, one with a short video, highlighting the benefits of your product, or a client testimonial, and another with just text. You can measure the performance of each page based on the metrics you set. That could be bounce rate, conversions or time spent on page. You set the duration of experiment and allow it to run. Afterwards, you’ll be presented with performance data revealing customer behaviour. You will now be able to make an informed decision about the effectiveness of your changes. Videos can be a great way to help increase your natural visits from SEO too. If you have a YouTube channel this is truer than ever as recent updates have meant that most video results in the SERPs now relate to YouTube videos. A video sitemap allows Google to index your video content properly. You can include embedded YouTube videos in your sitemap! The usage of online video to support visitor engagement and conversion is only likely to increase. This can happen offsite too. Previously Neil Davidson has described how AdWords Trueview video in YouTube can help influence. Already, Facebook has introduced ‘Video views’, which brands can use to target specific customers. Once a viewer has watched their video, they can click on a link to either the brand’s store to find out more, or to the brand’s Facebook page. Video engages users and allows customers to see the personality behind your brand. Including video in your website improves its SEO and if you use a sitemap, you’ll experience a higher click through rate too. Using text is no longer enough to persuade your audience. Speak to them directly, allow them access to your personality and watch them convert from visitors into loyal customers.